Lending money from friends or relatives is not an easy task. It takes a lot of courage, putting one’s face as a collateral and the trust built between the two-party. Due to the economic situation today, trying times are a test and one should carefully choose who to put trust in financial matters. 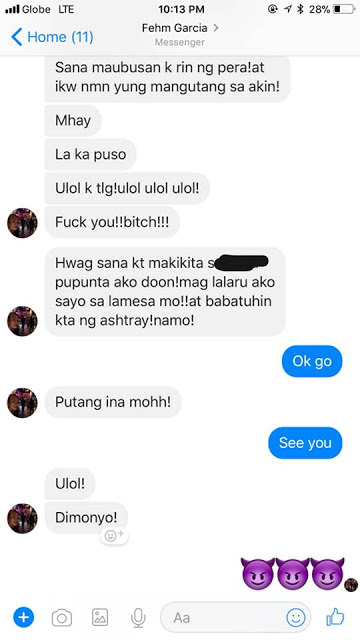 A Facebook netizen posted how a rude former college classmate degrades her for not lending her some cash. 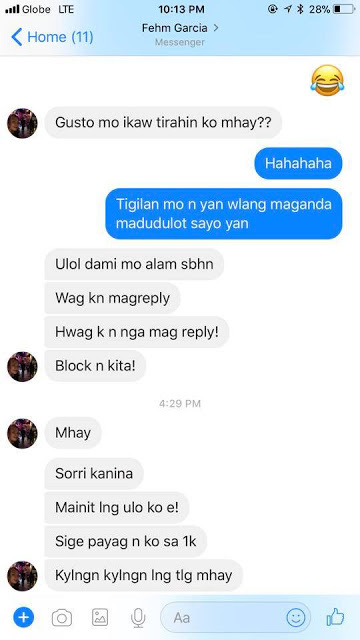 A certain Fhem Garcia suddenly messaged her former colleague, Mhay. 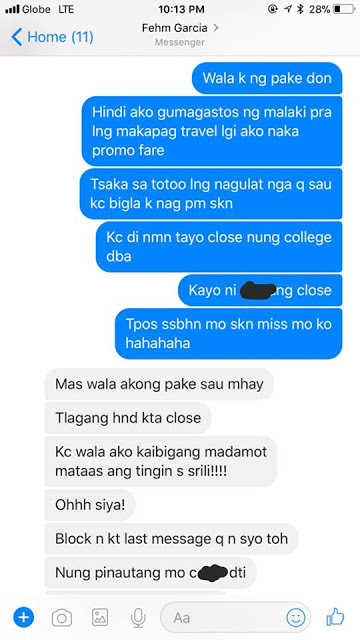 Fhem was at first being nice and all even praises Mhay for having a good work background after college. 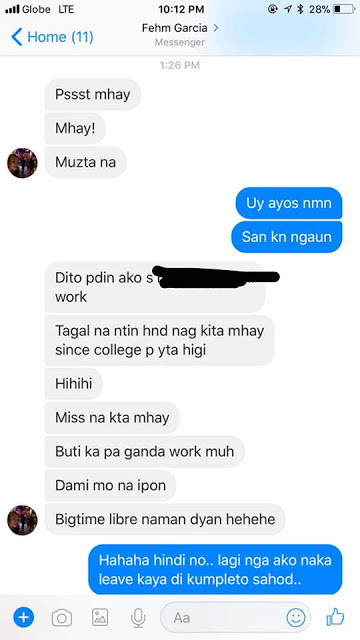 Even compared Mhay to her who are having struggles in work and in life and teases the latter for a treat. 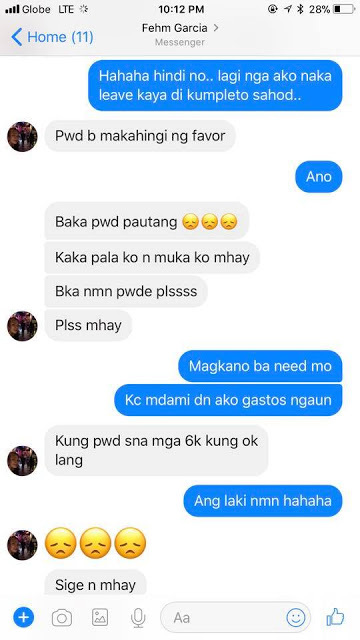 Along the conversation, Garcia asked Mhay for a favor to lend her 6,000 pesos. 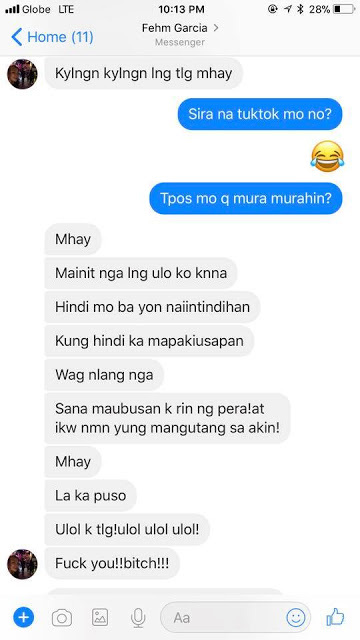 But then, Mhay apologized for she can’t instantly provide for her colleague’s urgent need of cash because she has bills to pay too, including her kid’s needs and currently ill mother. 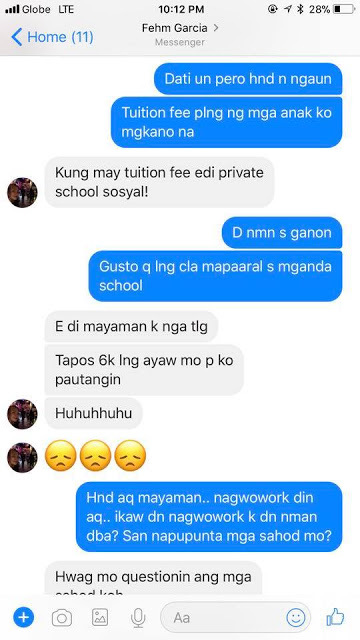 Mhay further explained her financial obligations to her kids, telling Fhem that as her kids grow, the needs pile up too. 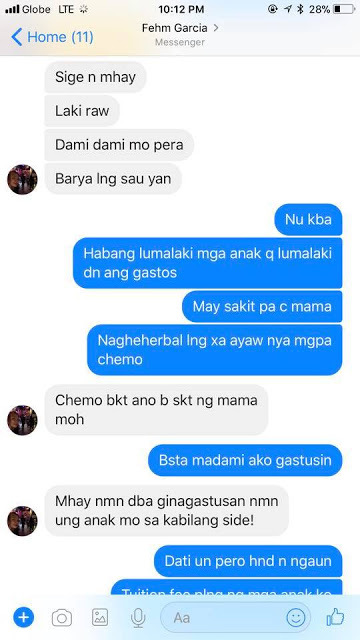 Added to that, her mother is just taking herbal medicines for the old woman does not want to undergo chemotherapy. 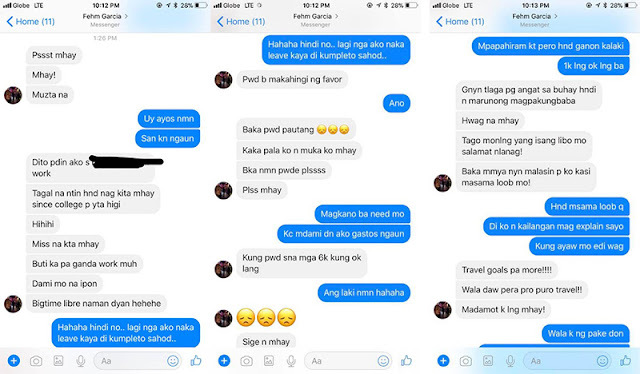 Wild guessing, Fhem firmly believes that Mhay earns a lot because she sends her kids to a private school given the fact that she pays for the tuition fee. 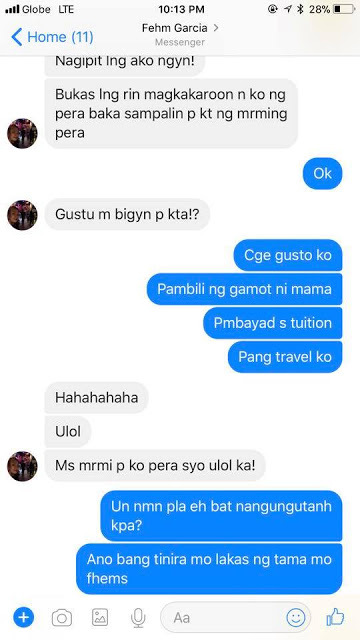 With that, the woman explained that she wants to send her kids to a good school. 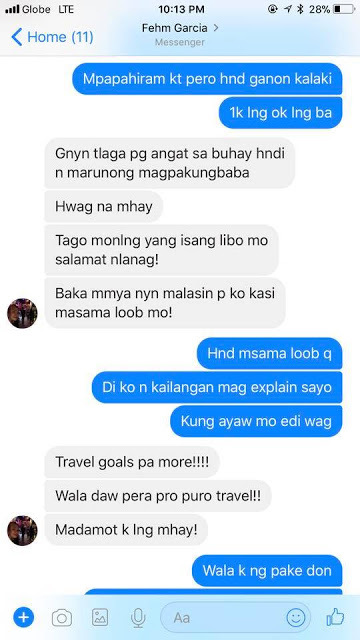 In return, Mhay asked Garcia where her monthly salary goes which made the latter to get defensive. 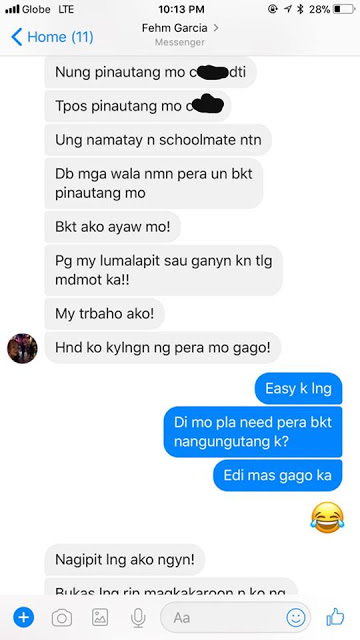 Mhay, who wanted to be of help at the very least offered a 1,000 pesos which Fhem finds offensive. Right there and then, the debtor friend started to say unkind things to Mhay even more violent calling the woman with different names and throwing ill words to her.